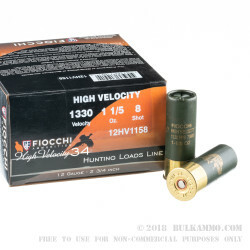 Buy a few boxes of these 12 gauge high velocity shotshells from Fiocchi for your next bird or small game trip. 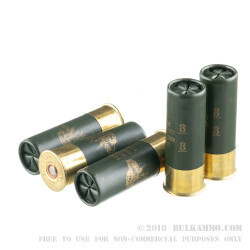 These 2-3/4" shells fire a 1 1/5 ounce load of #8 lead shot at an above-average muzzle velocity of 1,330 feet per second, enabling you to make quick, clean kills at greater distances. 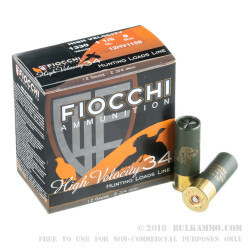 These shells are made at Fiocchi of America's facility in Ozark, Missouri and come in boxes of 25. 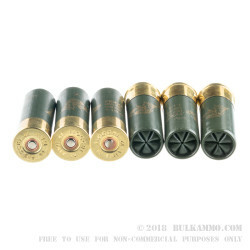 Order today and get as much as you want at BulkAmmo.com!